What's Up? Are you ready for Halloween? This will be the first time in, well, forever, that I won't be spending the late afternoon and evening with residents at the nursing home. I am spending the early afternoon there, helping with the Halloween party, but I'm coming home in time for the trick-or-treating in the neighborhood. It should be fun! I colored up the "Crow Trio" with Copic markers, and since I'm the artist, I made them into the color I wanted. The sentiment is computer generated alongside them. The papers and embellishments on this card are retired, from Close To My Heart. 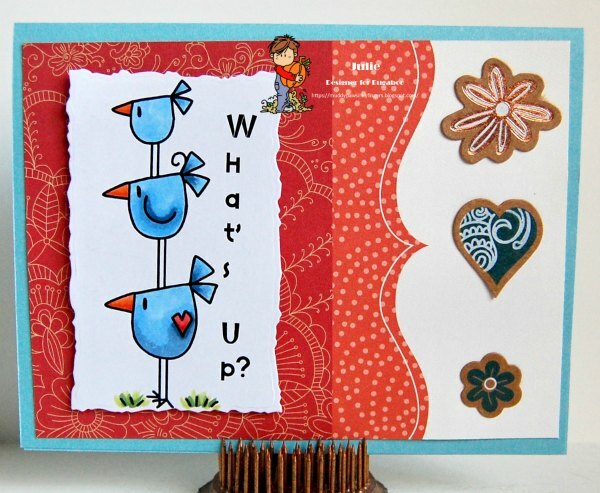 I hope you visit the Catch the Bug blog to see what the other talented Bugaboo Stamps designers did with today's new release, Crow Trio. 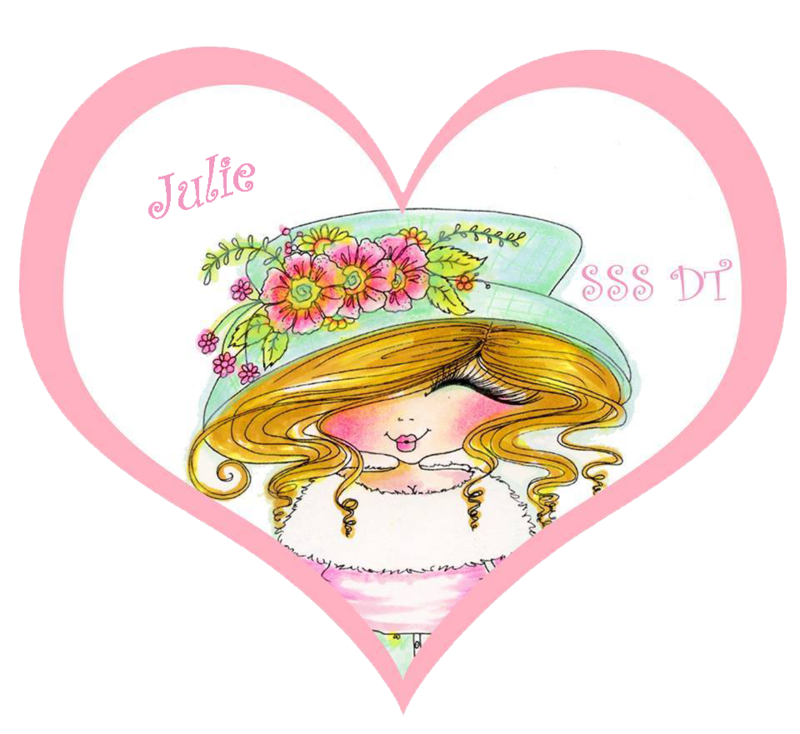 Then, head on over to the Bugaboo Stamps store and pick up this fun digi at a discount. There's also the Friday Freebie, and slews of other wonderful images. Do some shopping, color something up, and enter the challenge! Win some more! It's a win, win, WIN! Thanks for visiting today for New Release Tuesday! It's Friday! The last one in October, if you can believe it! That means it's time for a new challenge at QKR Stampede Challenge Blog. Themes are always Anything Goes. I printed the Open Oak Leaf onto white card stock. 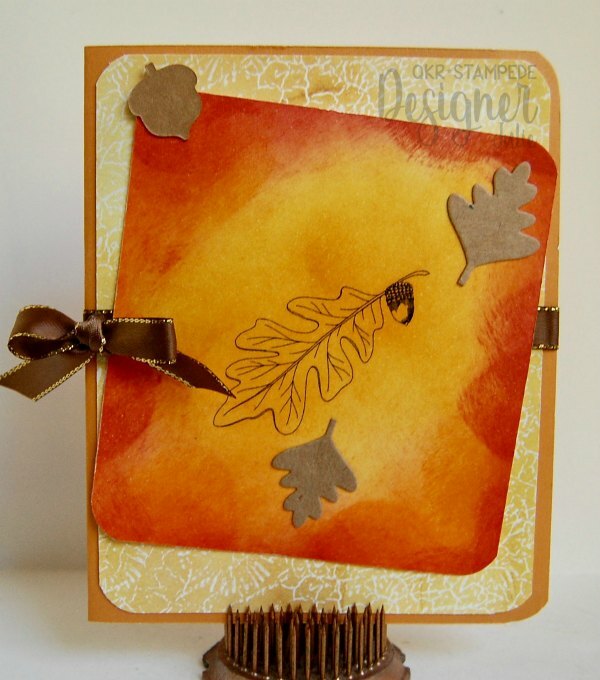 Then, I grabbed my fall colored distress inks and got busy. Here's the results. 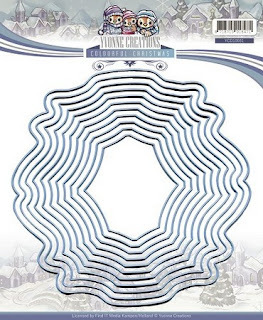 The designer paper behind the inked panel is from We Are 3 Digital Shop. 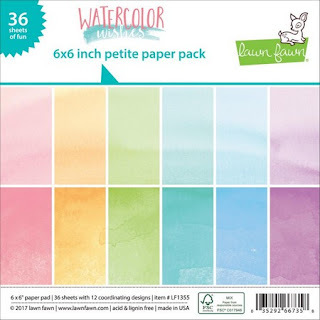 It's a paper from the Watercolor Batik Paper Collection. The fall colored ribbon is from Really Reasonable Ribbon. The fall looking embellishments are from Close To My Heart. I hope you join us this week at QKR Stampede for our Anything Goes Challenge. You have all week, and I'd love to see what you create! Hello, fellow stamp lovers. 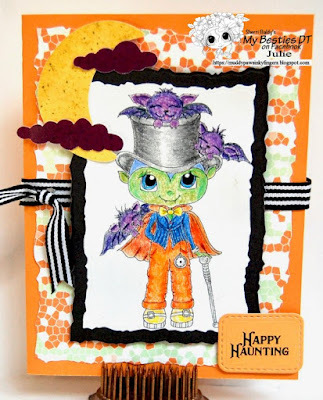 I'm on the Scrapbook Stamp Society blog today with some Halloween inspiration. 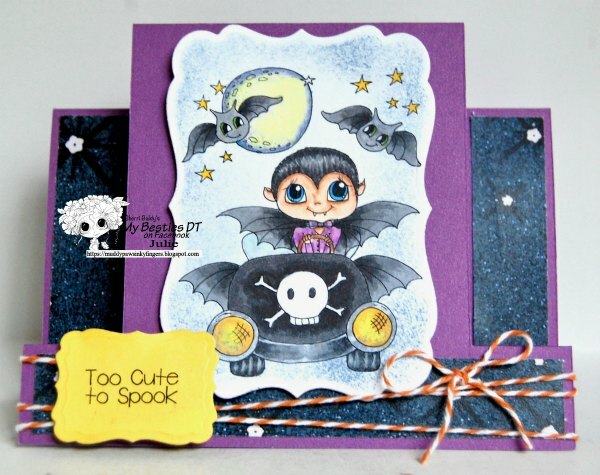 Halloween is soon upon us, so this img157, "You Drive Me Batty" digital stamp is right on target! I colored img157 with Copic markers, and did some inking around the edges. I wanted a spooky effect! The background paper on this card is from We Are 3 Digital Shop. It is the Into The Night Collection. The sentiment, also be We Are 3, is one of the Halloween sentiments. 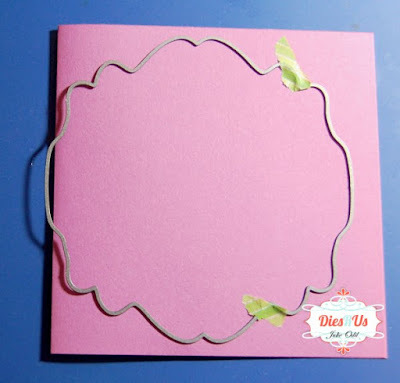 I created the card base with a Sizzix die. I finished the card with some Timeless Twine. Check out all the delightful Halloween, Fall, Thanksgiving, Christmas, and any season you want images in the My Besties Shop. You won't be disappointed! It's the last Thursday of October (already?!? ), and that means it's anything goes at The Outlawz Twisted Thursday. It also means there is a guest designer. Today, that guest designer is ME! Yea, me! I have never had the pleasure of coloring up a Time for Tea image before, but she is sponsoring this entire month at The Outlawz Twisted Thursday. What a delight! Here is what I got to color! 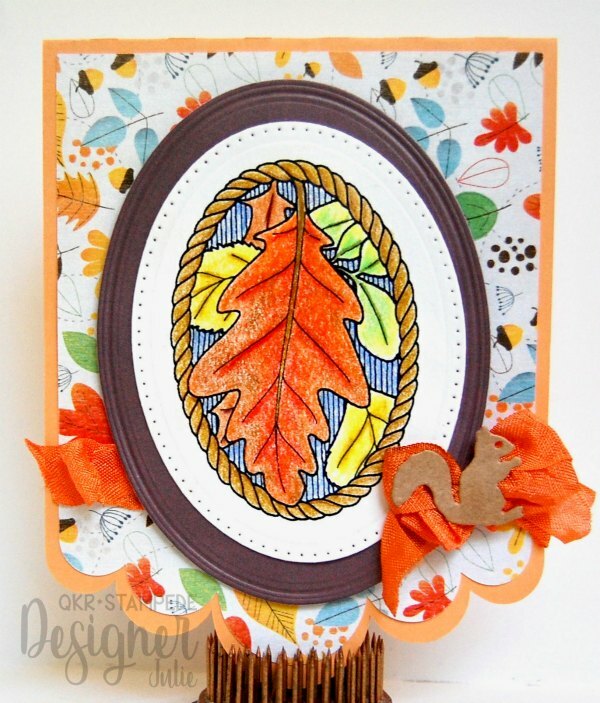 I colored up Fall Leaves with Copic markers, working in all earth tones, to stick with the autumn color theme. Papers, dies, and embellishments are from Close To My Heart. The little bit of twine is from Timeless Twine. Thanks to Time for Tea for sponsoring, and a big, big thanks to Twisted Thursday for the chance to guest design! I have the pleasure today of posting for Kinda Cute by Patricia Alvarez. I just love to color up the sweet images she draws! I colored one of the Llamas in the stamp set (there are 3) with Copic markers. One of my best friends and I just got back from a trip to see another good friend. I gave this card to her the day we flew together. I thought the sentiment would give her a giggle. 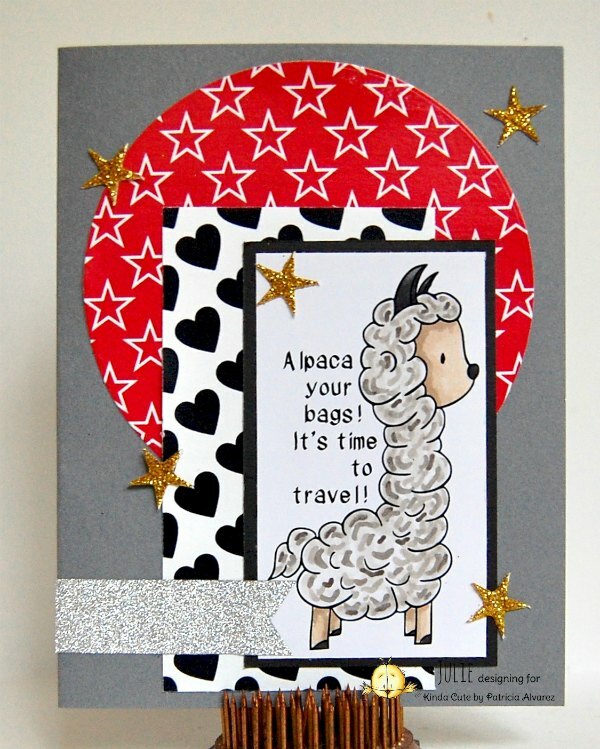 Papers on this card are also from Kinda Cute by Patricia Alvarez. The red star paper is from the Red & Blue Basics paper collection. The black and white hearts paper is from the Red & Black Love papers. The card design is based on a sketch I found at Sketch Saturday. Please visit the Kinda Cute by Patricia Alvarez Store for more wonderful digis, the Kinda Cute by Patricia Alvarez blog for great inspiration by Patricia and the design team, and the Kinda Cute by Patricia Alvarez Facebook Group for a monthly challenge, news, more inspiration, friendship, and fun! October 23rd. Already? These months sure do roll by! Halloween will soon be upon us! 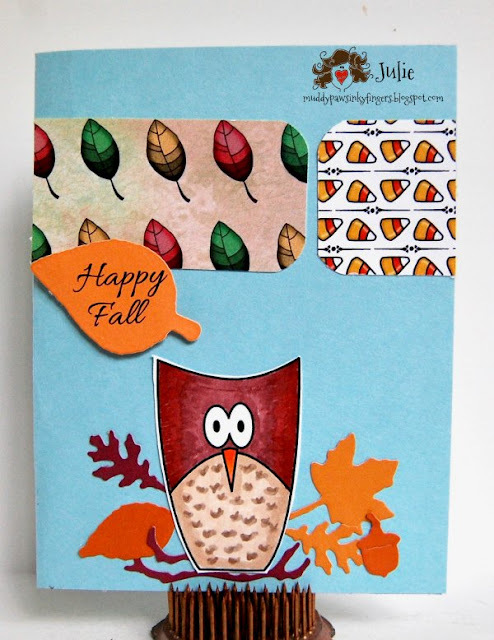 The 23rd of each month is my day to post some inspiration on the Scribbles Designs blog. Today, I have a fun Fall card to share with you, using a Scribbles Designs image, and a couple of papers -- all of them free! I colored the owl with Copic markers, then fussy cut him. The papers are designed by Lisa DeCosse, from Decosse's Dynamite Doodles, but are found in the Scribbles Design Store. The sentiment on this card is from We Are 3 Digital Shop. It is from the Itty Bitty Fall Sentiment collection. 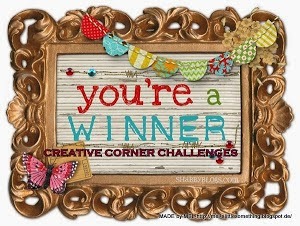 Scribbles Designs Challenge blog has some awesome challenges, so check those out! Perk Up! It's Tuesday! And that's new release day at Bugaboo Stamps! If you're a coffee drinker, or know someone who is (hard not to! 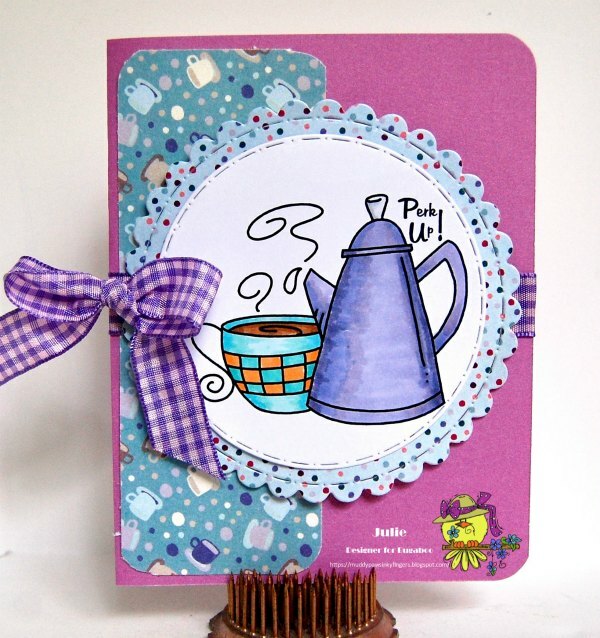 ), you'll love today's new release, Coffee Time. I colored Coffee Time with Copic markers. The sentiment is part of the set. I think this will make a darling get well card. I find the papers at Pixel Scrapper. I really like the coffee cup paper. I used a past sketch from Sketch Saturday. They are a great resource when looking for a little inspiration! The checked ribbon is from Really Reasonable Ribbon. I've had it for a long time, waiting for the perfect card to use it on. I think I finally found it. The circle dies are from Craftin' Desert Divas. I also used my We R Memory Keepers Corner Chomper (3/8 inch) on this card. New Release Tuesday at Bugaboo Stamps! What a great day to Perk Up! 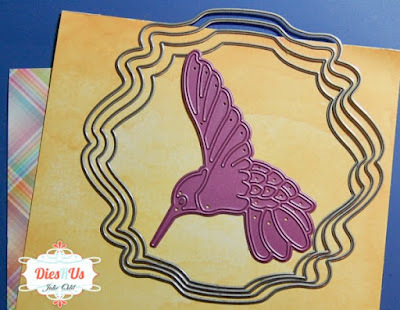 I'm on the Dies R Us Inspiration Blog today, with a lacy hummingbird card. The nesting dies are from Yvonne Creations Dies. It is the Nesting Frame Die. I love this die, but there's a bit of a learning curve with it. Make sure you keep track of your layers, or it can get confusing. I've ruined some paper, cutting the pattern in the wrong direction. I always reassure myself -- it's only paper!! Notice how I leave the largest die outside of the fold of the card base. If you look closely at the finished card, you can see where that fold is. The outside layer is exactly the same size on the left side of the card (where the fold is). Boo! It's almost Halloween! Di's Digi Stamps has the absolute cutest stamps, and I had so much fun coloring up the one for today's challenge at Di's Digi Designs Challenge, Creepy or Cute. Pumpkin Bear is on sale for just $1, so you may want to grab it! It's so adorable! 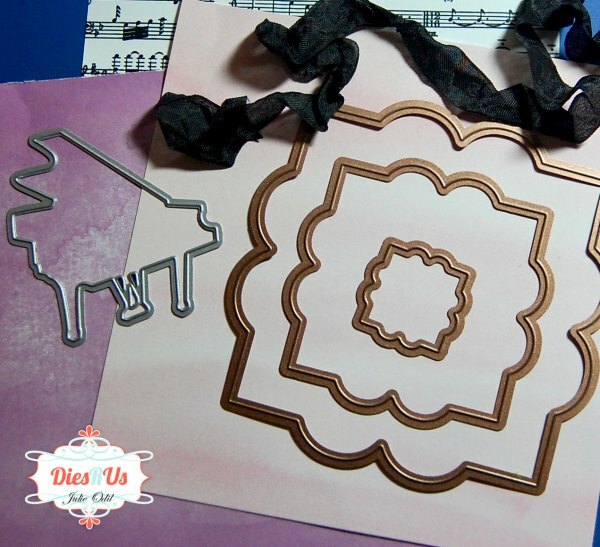 I made this rocking card with a cutting file I found in the Silhouette Design Store. I cut it out on my Silhouette Cameo 3. Papers on this care are from Close To My Heart. The sentiment is from We Are 3 Digital Shop. It is from the Halloween Sentiment Set. 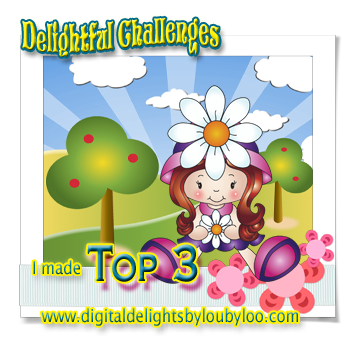 I hope you can join in on the fun at Di's Digi Designs Challenge for our Cute or Creepy Challenge. It will run for the next 2 weeks! We're 1/2 way through the challenge at Aloha Friday Challenge Blog, so that means it's time for some mid-challenge inspiration. That's where I step up to the plate! This time, the theme is "In the Sky". Anything in the sky -- clouds, airplanes, butterflies -- it'll qualify! I colored image 207 with Copic markers. 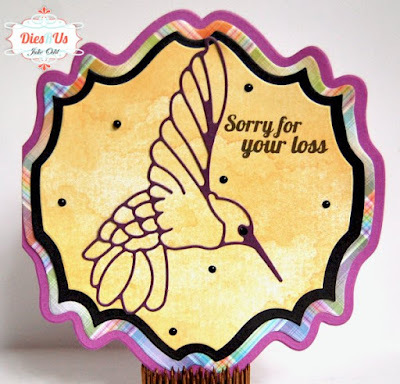 I got some new tag dies from Close To My Heart, and I used a couple of them on this card. Papers on this card are from We Are 3 Digital Shop. 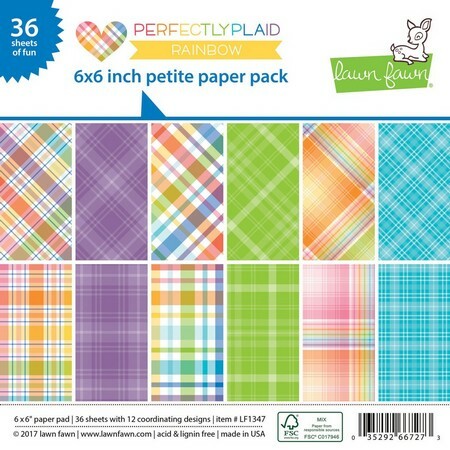 This is the New Release Pinkalicous paper collection. The Just Because sentiment is also from We Are 3. It's one of the Itty Bitty Thoughts. I hope you can join us this week at Aloha Friday Challenges. There's still plenty of time to join in our "In the Sky" theme! It's Friday! Time for a new challenge at QKR Stampede challenge blog. Every Friday, there's a new challenge, every Friday, the challenges are Anything Goes. I colored the Scarecrow with Faber-Castell Polychromos pencils. 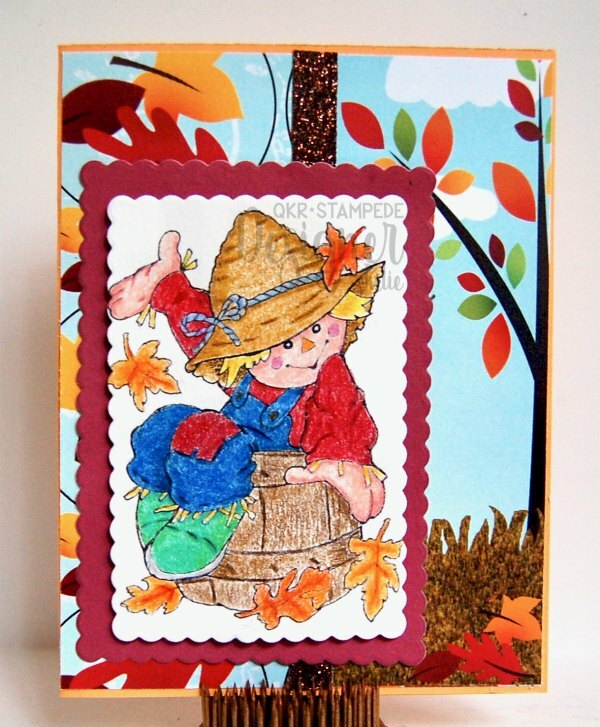 I used cutting dies by Lawn Fawn to cut out the Scarecrow and back him. Papers on this card are from We Are 3 Digital Shop. There's 2 papers on the card, both from the Seasonal Backgrounds paper collection. I hope this card inspires you to join in on the QKR Stampede Anything goes challenge this week! 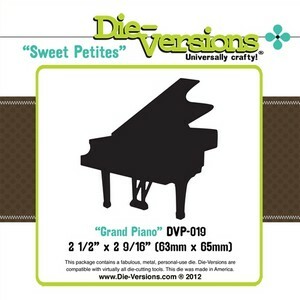 I'd love to see what you make, and we've got great digis you could win -- like this one! 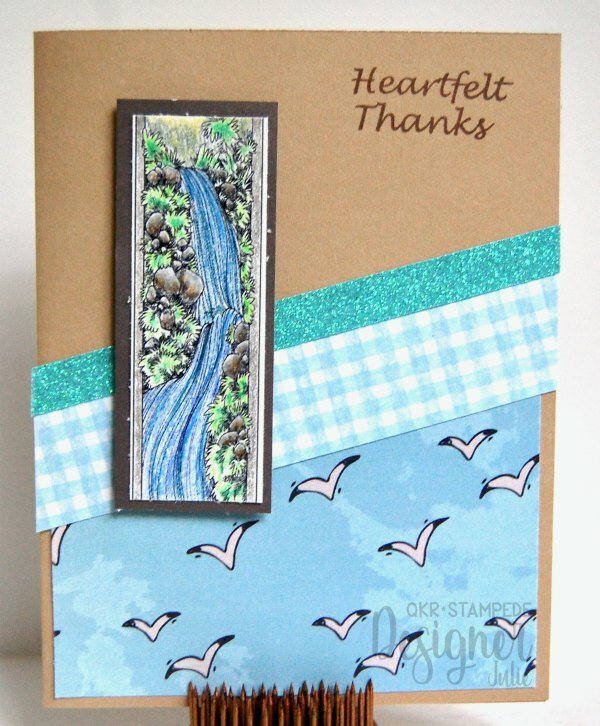 It's the middle of the month, and it's time for some mid-challenge inspiration on the Sasayaki Glitter Challenge Blog. The theme this month is Halloween/Harvest. I colored Naughty Alien with Faber-Castel Polychromos pencils. Once I got done, I wasn't sure if the Naughty Alien looked expertly shaded, or if he looked like a 5 year old picked up the pencils and colored! Oh well, I had fun either way. The sentiment was computer generated. Papers on this card are from Echo Park. I hope you can join us this month at Sasayaki Glitter Challenge Blog. There's still plenty of time to enter our Halloween/Harvest themed challenge. 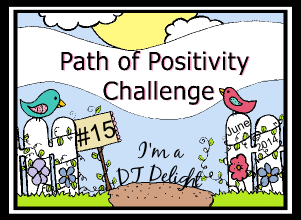 It's the third Monday in October, so it's time for a bit of mid challenge inspiration at The Path of Positivity Challenge Blog. We've been featuring an optional color each month this year. This month's optional color is purple. 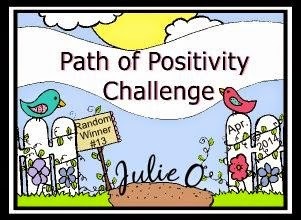 Or, you can enter any positive themed project you'd like! I colored Monster 5 with Copic markers, using primarily blue violet colors. The spider web paper is from We Are 3 Digital Shop. There's some purple glitter paper behind the monster. Both the monster and the glitter paper were cut out with dies from Spellbinders. The sentiment on this card is from Close To My Heart. The optional purple challenge goes all month, so I hope you find time to join in the fun. I'd love to see your creations at The Path of Positivity Challenge Blog. It's the 15th of the month. That means it's time for some mid-challenge inspiration on the DigiStamps4Joy Challenge Blog. The challenges are always Anything Goes with an optional theme. This month, there's a free digi up for grabs on the DigiStamps4Joy blog. Go grab it, then join us for the challenge! I colored Cheese & Wine with Copic markers. The sentiment is an acrylic stamp from Paper Wishes. Papers on this card are from Paper House. The ribbon is from my stash. I hope you can join in on the DigiStamps4Joy challenge this month. The challenge runs all month, so there's still plenty of time! Greetings, fellow paper crafters! 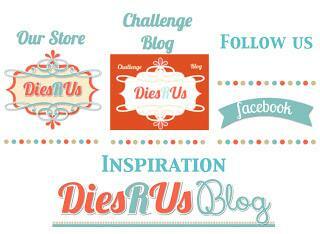 Today is my first post on the Dies R Us inspiration blog! Woohoo! I'm so excited! I love shaped cards! 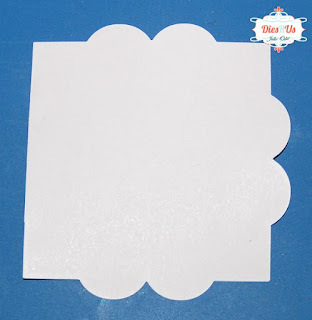 If you're a regular visitor to my blog you'll see many shaped cards. You can use many different dies to make shaped cards. 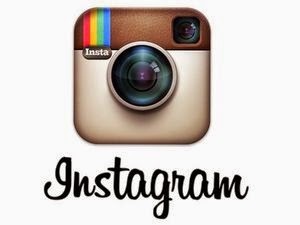 Follow this post, and I'll show you how. I created the card base using the largest Spellbinders die. Pictured below is how I did it. Notice that I left one edge of the die hanging off the paper, which is already folded in 2, like the card base. I like to use washi tape to hold my dies in place. 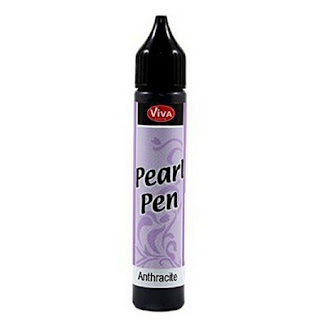 You can easily remove it after you run it through your die cutting machine. Here's the card base after it's cut out. I cut out another piece of paper using this same die and tape it over the top, hiding the flat edge on the left. Here's the card again! A fun shape, easily constructed. 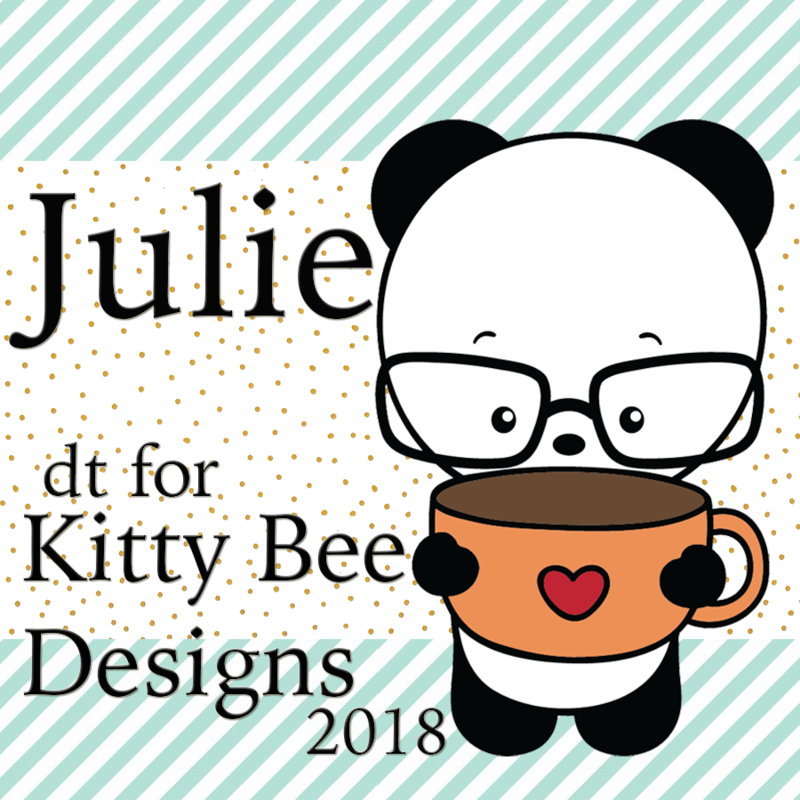 I'm on the Kitty Bee Designs blog today, with this little panda cutie! 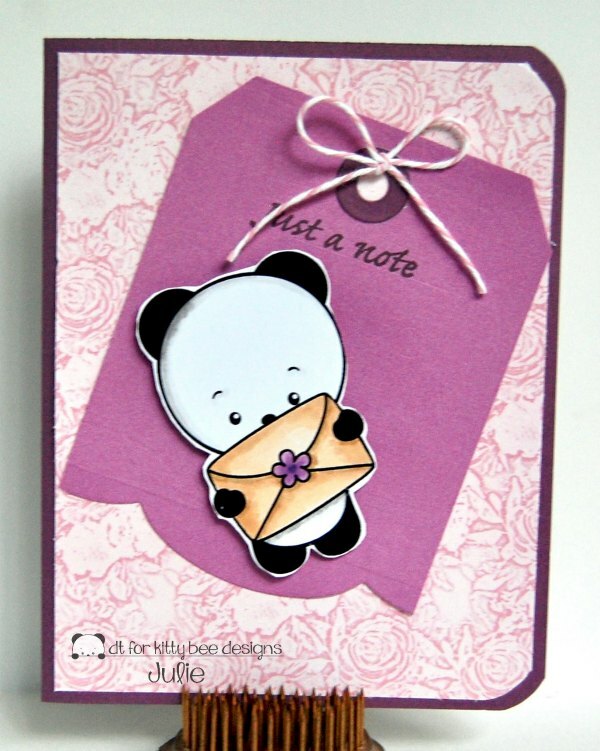 I used Happy Mail Panda on this card, colored with Copic markers, then fussy cut to fit on the tag. 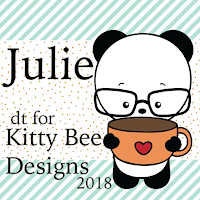 There are so many fun designs in the Kitty Bee Designs store! You'll do yourself a favor if you check them out. You won't be disappointed! 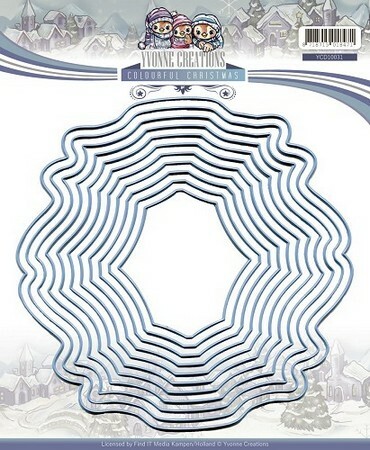 The designer paper on this card is from We Are 3 Digital Shop. 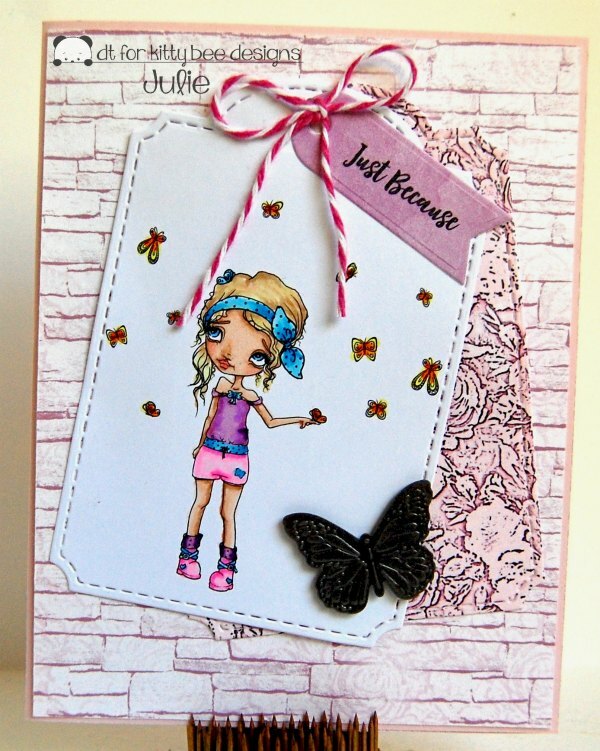 It is one of this month's new releases, Pinkalicious paper collection. Join in on the Aloha Friday Challenges. They start on Fridays, and last for 2 weeks. Howdy, crafty pardner! 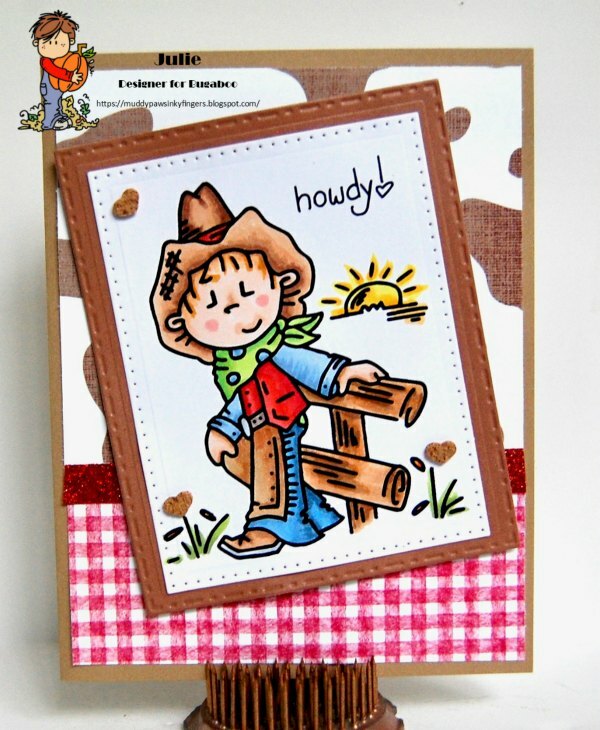 There's a new challenge starting today at Bugaboo Stamp's Catch the Bug Challenge Blog, and the theme is All About Cowboys, so put on your chaps, polish up your spurs, saddle up, and join the fun! I colored up Cowboy Fence 2 with Copic markers. He's so swank leaning against that fence, isn't he? All he needs is a blade of grass hanging out of his mouth! The papers on this card, that add so much to how fun it is are from 2 different companies. The cowhide patterned paper is from Imagine That! Digistamp. The red gingham paper is from We Are 3 Digital Shop. The cork heart embellishments are from Close To My Heart. I hope you can join us this week for our Cowboy-themed challenge at Catch the Bug challenges. We've got great prizes you can win, and I'd love to see what you create! It's Friday! Fri-yay! That means it's time for a new challenge on the QKR Stampede Challenge blog, where there's a new challenge every week, and every challenge is Anything Goes! Once the image was colored with Faber-Castell Polychromos pencils, I backed it with black card stock. Then, I used 2 digital papers from the We Are 3 Digital Shop, At The Beach. 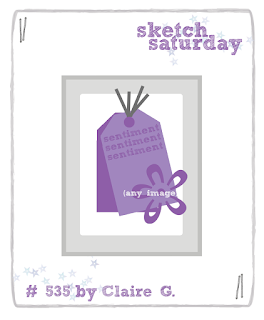 The sentiment is an acrylic stamp from Craftin' Desert Divas. The aqua shimmer trim is from Close To My Heart. 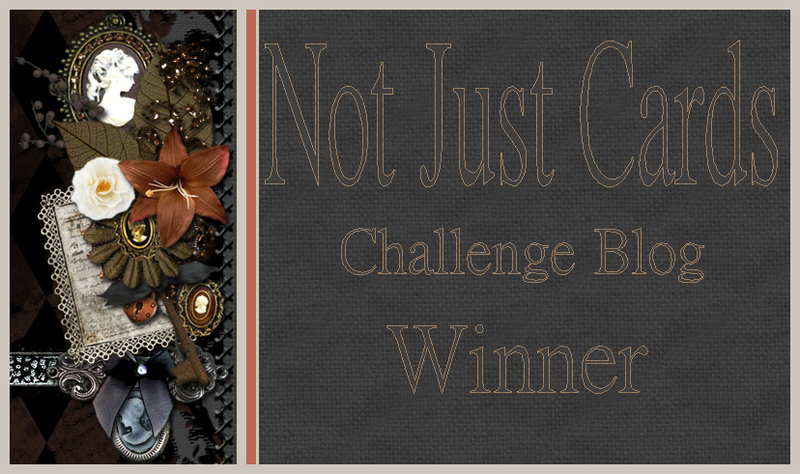 I hope you're able to join the challenge this week at QKR Stampede Challenge Blog. I'd love to see your creations, and we've got great digis you can win! 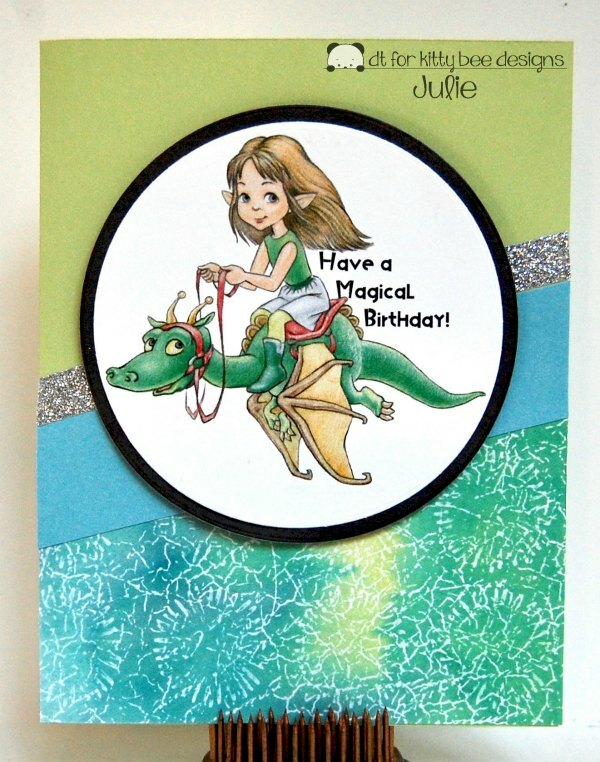 It's Tuesday, and that's New Release day at Bugaboo Stamps. But, this isn't just any Tuesday! 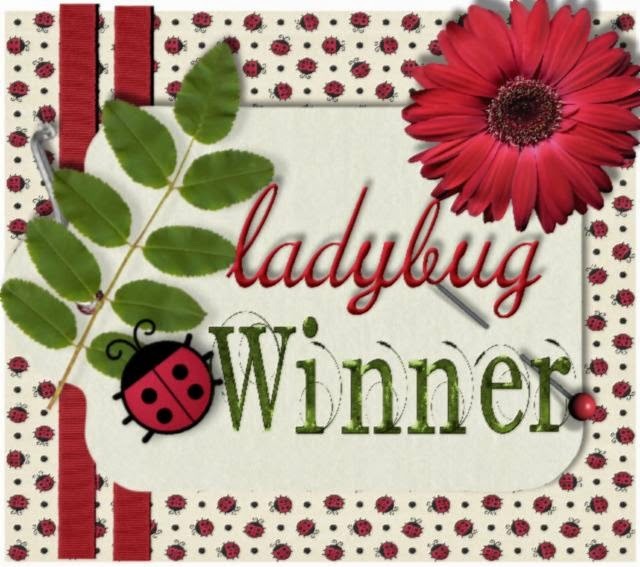 Today is my first official day as a Bugaboo Stamps design team member! I've been guest designing for Bugaboo Stamps the last 2 months, and I've been asked to stay on. I'm so excited! 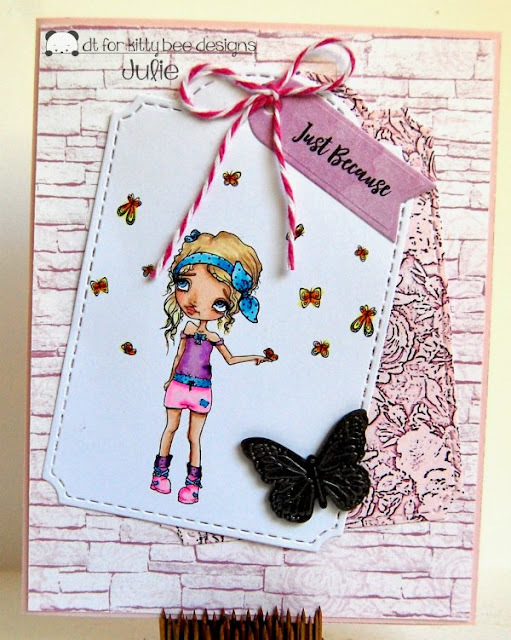 I love Bugaboo Stamps, and I love the talented team, so I think this is going to be a great journey! I colored Puppy Pile with Copic markers, trying to make each pup a bit different color. 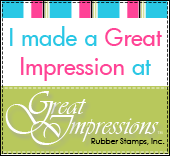 The sentiment is an acrylic stamp, part of a Stampendous stamp set. I cut the card base out on my Silhouette Cameo 3 with a file I found in the Silhouette Design Store. 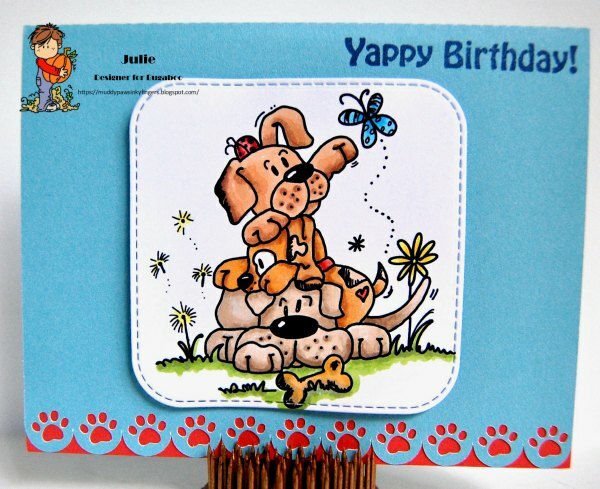 Check out the Catch the Bug blog to see what the other wonderful designers did with this fun Puppy Pile new release. Then, visit the Bugaboo Stamps store, pick it up while it's on sale, grab the Friday Freebie, and do some other shopping while your there! Color up these wonderful images and enter the Catch the Bug Challenges! 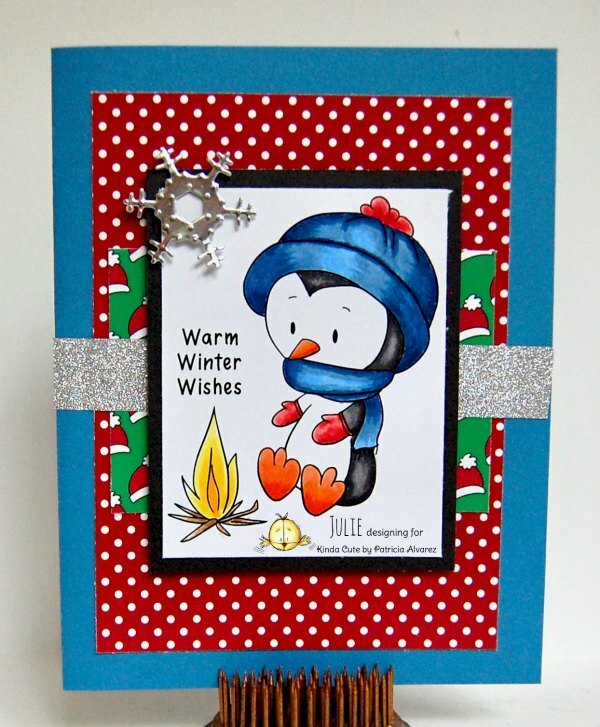 Even penguins get cold, and Penguin by the Fire is spreading winter cheer! I colored Penguin by the Fire with Copic markers. The papers on this card are also by Kinda Cute by Patricia Alvarez. They are the Bright Christmas Papers. I used a sketch that I found at Sketch Saturday to create this card. Today is a big day! All Dressed Up Stamps has teamed up with Kit & Clowder to offer members of both Facebook groups a free digital stamp. As an All Dressed Up DT member, I was given the digi early to color up and use as some inspiration for members of the groups. I'm not at all sure how inspirational my coloring is, but I gave it my best shot! I colored Girl's Christmas Stocking with Copic markers. I used pastel colors to match that gorgeous paper I wanted to use. I like non-traditional colors for Christmas cards on occasion. The pretty papers I was talking about are from We Are 3 Digital Shop. They are one of this month's new releases. They are part of the Pastel Angel Collection. 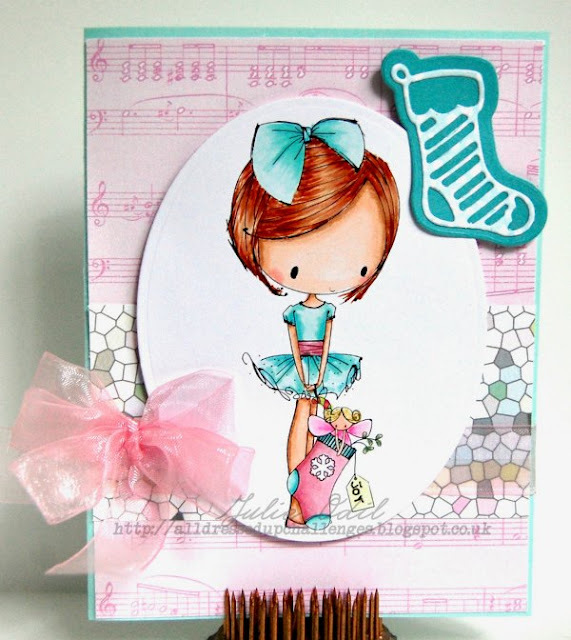 The stocking die cut is from Paper Wishes. The ribbon is from my stash. Come join the fun on Facebook, pick up the free Girl's Christmas Stocking stamp, color her up, and enter the Facebook challenge in the All Dressed Up Facebook Group. There's also a challenge on the All Dressed Up blog. Pumpkins! I love to eat them (in pie) I love to drink them (in lattes), I love to decorate with them, and I really love to color them! So, the challenge this time at Di's Digi Designs Challenge -- include a pumpkin -- is especially fun for me! I colored Pumpkin Fun with Copic markers, and it was FUN to color. The stamp is named correctly! 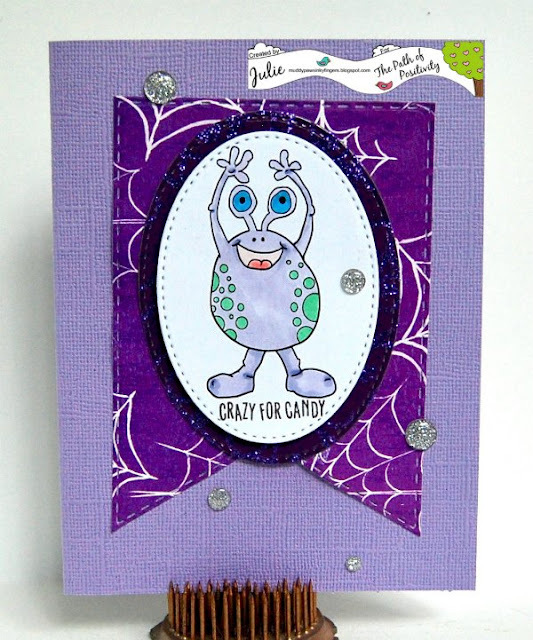 That fun spider web paper on this card is from We Are 3 Digital Shop. It is one of this month's new releases, Web Works. The sentiment, also from We Are 3, is one of the Halloween Sentiments. 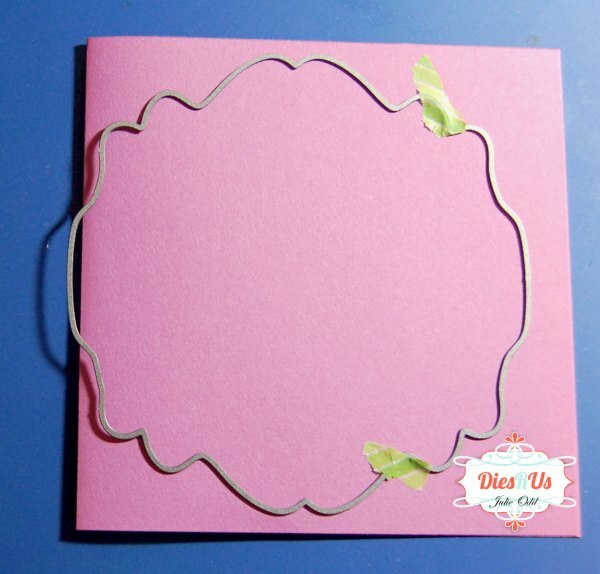 The card base was cut out with a die from Sizzix. The circle dies is a collection from Lifestyle crafts. A bit of Timeless Twine finished the card. The 'Include a Pumpkin' challenge at Di's Digi Designs runs for 2 weeks, or until October 19. I hope you can join us! Aloha! It's Friday! 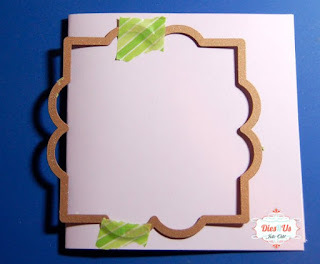 It's time for a bit of mid-challenge inspiration on the Aloha Friday Challenge blog. The theme for this challenge is fairytale/fantasy. Our sponsors are Bugaboo Stamps and Fabrika Fantasy. The sentiment is computer generated. The background paper is from We Are 3 Digital Shop. It is from the Watercolor Batik Collection. Challenges at Aloha Friday Challenge Blog go for 2 weeks. Today is the 1/2 way point. I hope you find time this week to make something, and enter it in our Fairytale/Fantasy challenge. I'd love to see what you create! Here we are to the first Friday in October! This month is flying by, just like the leaves, flying by my window on the wind! Since it's Friday, it's time for a new challenge at QKR Stampede Challenge Blog -- every Friday, always Anything Goes! I colored Fall Leaf Oval with Faber-Castell Polychromos Pencils. I cut it out and backed it with a couple of Spellbinders dies. The background paper is digital. I found it at Snap Click Supply. I don't remember where I got the squirrel die anymore, but I use it often on Fall cards. 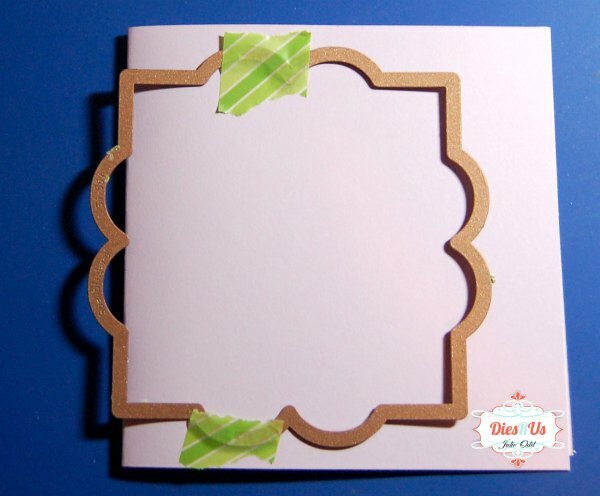 The card base is an SVG file from Pretty Paper Pretty Ribbons. The crinkle ribbon is from 3 Girl JAM (out of business). I hope you have an opportunity to join in on our Anything Goes challenge this week at QKR Stampede Challenge Blog. I'd love to see what you make, and we've got great digis you could win! Hello, stamping friends. 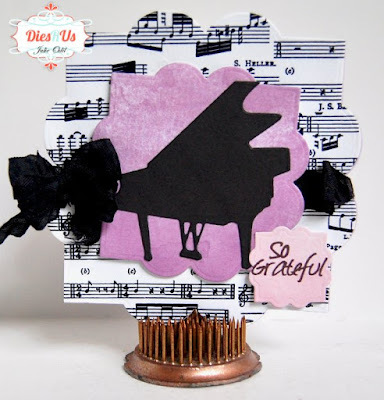 It's my day to be on the Scrapbook Stamp Society blog. I thought I'd go for a "wild" skin tone, since it's Halloween, and a good time to experiment a bit! 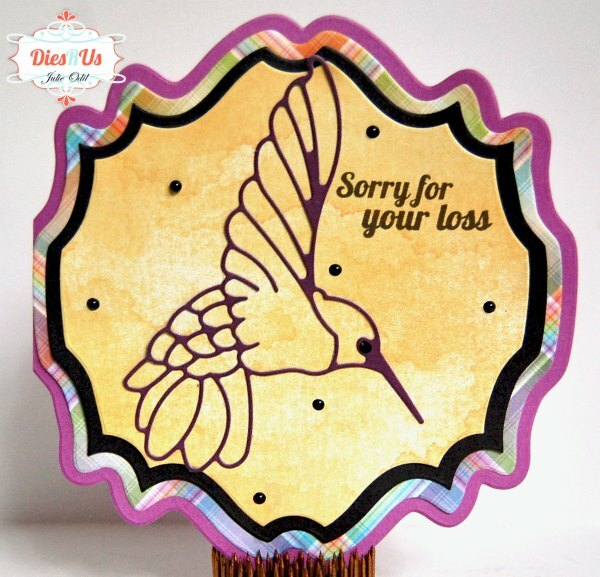 Papers and sentiment on this card are from the We Are 3 Digital Shop. The background paper is from the Orange Retro Collection. The moon was cut out of the Fairy Delights paper Collection, and the clouds are from the Best of Autumn Collection. 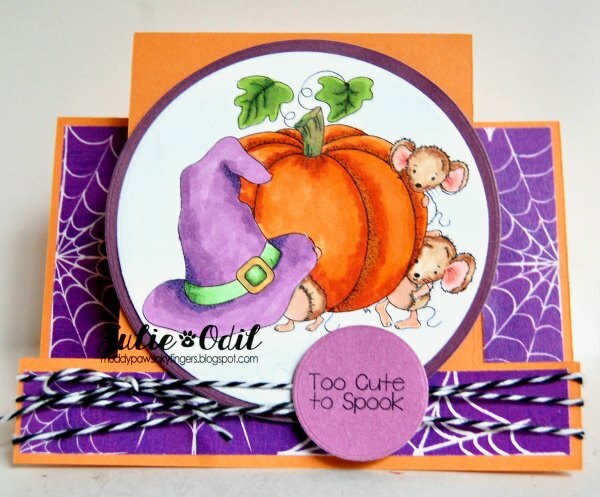 The sentiment is from the Halloween Sentiments Set. 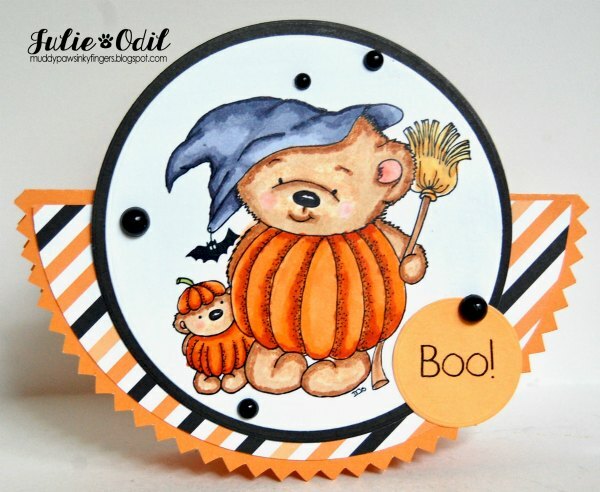 There are lots of great Halloween images in the My Besties Shop. Grab them and get coloring!